Whether you're planning to visit Mexico in the Spring, Summer, Fall or Winter, each season offers advantages and disadvantages. If you're planning your trip for the spring months, there may be a few particular thoughts on your mind. You're probably wondering what kind of weather you can expect, whether your holiday will be over-run with college kids partying on their spring break (you may be hoping for that, or maybe not), and whether your vacation will coincide with any important holidays, festivals and events. Here is some information to help you plan your springtime trip to Mexico. Spring officially begins on March 20, the day of the spring equinox, when the length of day and night are equal, and the days start to get longer after that. The type of weather you can expect in Mexico during the spring months will vary according to your destination, but just like north of the border, as the days get longer, the temperatures start to rise. In central and southern Mexico, this time of year tends to be hot and dry. Along the coast, conditions are nearly perfect for enjoying the beach. The beginning of the season is very dry, but the rainy season begins towards the end of spring and lasts through the summer months. Farther north and in the central highlands, the weather can be cooler well through into the month of May, especially during the night and in the early morning hours. Read up on our Mexico weather guide to find out more about what conditions to expect during your stay. For your spring visit, it's a good idea to pack for a variety of weather conditions. Layers are always a good idea, so you can start off the day wearing a sweater and remove it when the weather warms up around mid-day, and put it back on in the evening if it gets chilly. If you're traveling to central or southern Mexico near the end of the springtime season, bring some rain gear just in case. Check out more ideas about what to pack for Mexico. There are a few special celebrations during this time of year that you may enjoy witnessing, such as greeting the Spring Equinox. Carnival, Lent and Easter are springtime celebrations that you should keep in mind when planning your trip. They are celebrated on different dates each year, so be sure to find out when is Semana Santa in Mexico and when is Carnaval. Lent is the period after Carnival and before Easter. You may want to see the special festivities for these occasions, or you may prefer to avoid them, but either way, find out when they're celebrated and keep it in mind for your planning. Mexico is one of the top countries to visit for spring break, with a great many college students converging especially on the destinations of Cancun, Los Cabos, and Puerto Vallarta during their week off from classes. If you're going to Mexico for spring break, we have lots of resources to help you. Be sure to read our safety tips for spring break and Spring Break FAQs, but if you'd rather avoid the madness, you can still enjoy Mexico this season, just be sure to plan your trip with that goal in mind, and use these tips to avoid Spring Break in Mexico. When exactly is spring break? Not all schools have their break at the same time, so the crowds last through the spring months. Some colleges in the United States have their holiday in February, but most take their break in the month of March and a few have their holiday in April. Spring can be a lovely time to visit Mexico. It does require some planning to ensure your holiday is everything you hope it will be. Spring breakers looking to party hard in Mexico and forget all their stress and worries related to school love this time of year. 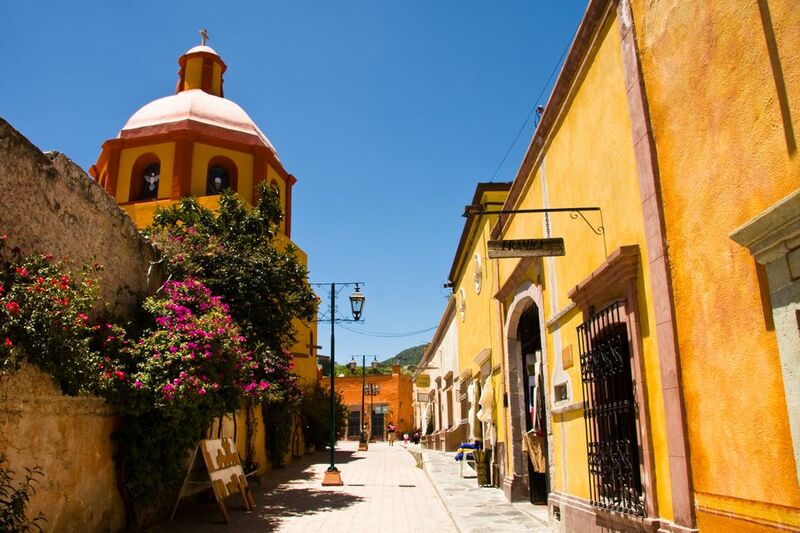 Others who are seeking a quiet, relaxing vacation may choose to travel during other seasons, but travel to Mexico in springtime brings many delights. For more information to plan your trip, consult our Mexico month by month calendar and consider the best time for your trip: when to go to Mexico.